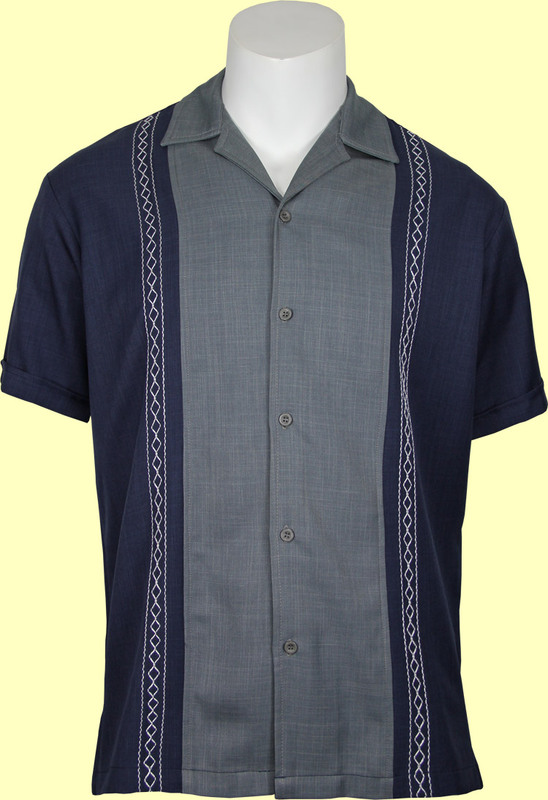 This is a classically styled navy blue shirt with gray center panel. The real gem of this shirt is the white vintage inspired diamond stitching. This great shirt also features cuffed and notched sleeves and bottom side slits. The fabric is a very nice polyester that is wrinkle resistant and moisture wicking. This shirt is sure to be a classic!